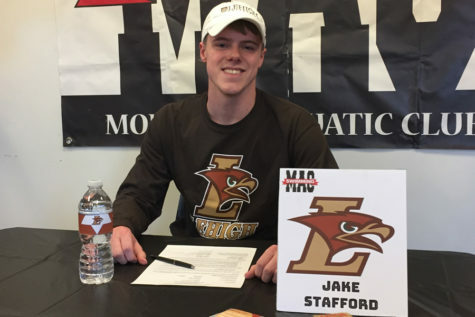 Jake Stafford is a senior at Middletown High School and in his sixth semester of journalism. He is the newsroom managing editor alongside Audrey Fisher. He is attending Lehigh University where he will study economics and get his bachelors. He swims year round for Monocacy Aquatic Club and intends on swimming at Lehigh as well. Jake’s goal is to work on Wall Street following the completion of his MBA. His hobbies include watching football with friends, watching Netflix, and playing video games.